Desi Girls Do It Better Lyrics: Jaz Dhami is back with a new punjabi song. 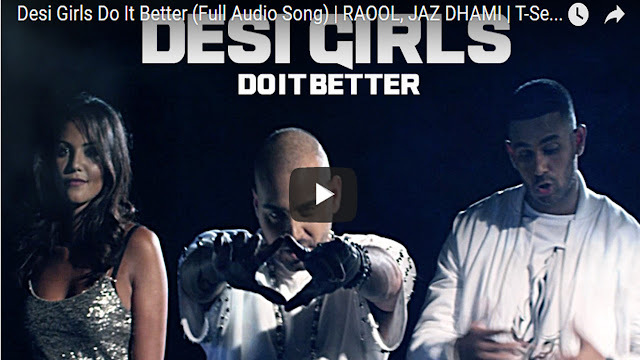 Desi Girls Do It Better is the new song sung by Jaz Dhami. This song sung very beautifully by Jaz Dhami. Raool is rapper in this song and also the composer of this song. This song Lyrics penned byRAOOL, Justin Mall, Nitish Bakshi, Niket Pandey. This song is label by T-Series. Read this song lyrics and watch video also. We are Presenting the full audio of “Desi Girls Do It Better” in the voice of RAOOL & JAZ DHAMI exclusively on T-Series. Desi girls they do it..